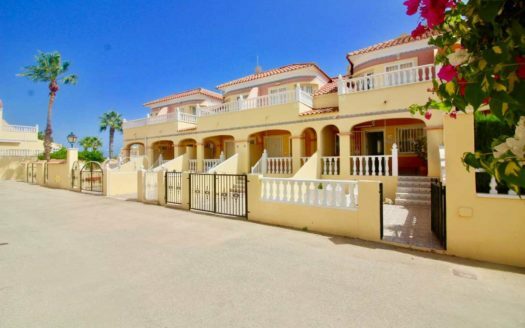 Wonderful 2 bedroom townhouse in Los Dolses in the popular Rioja 4 area near Villamartin. This super property comes with 2 bathrooms. On the ground floor there is a family room / living room, American open plan kitchen and a guest toilet. On the second floor there is a large bathroom and two well-appointed bedrooms with storage. 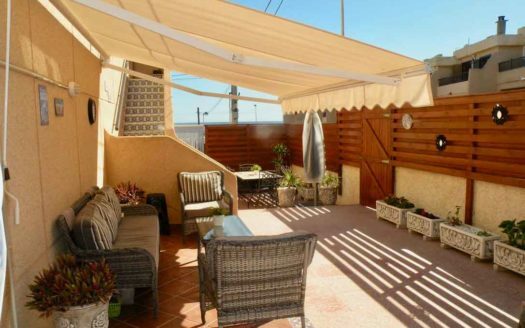 There is a spacious private roof terrace with built-in barbecue. The plot is divided with space at the front and back of the property. 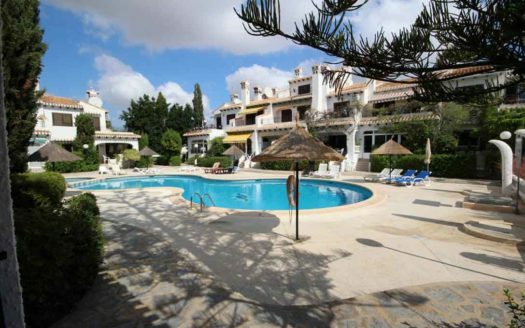 This urbanization is nice and quiet with a communal pool a few minutes from the property. 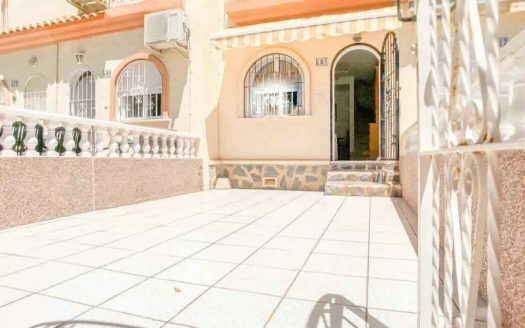 This property has good rental potential and is only walking distance to La Fuente commercial centre which offers all types of amenities, bars and restaurants. There are 4 golf courses within a 5 minutes drive, These courses are Las Ramblas, Villamartin, Campoamor and Las Colinas.